Along with iPhone 7 and iPhone 7 Plus, Apple also launched its next generation smartwatch series, the Apple Watch Series 2. 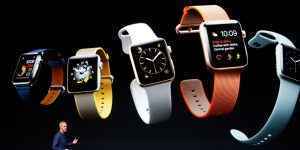 Apple is claiming its smartwatch to be the second best in terms of popularity after Rolex around the world. 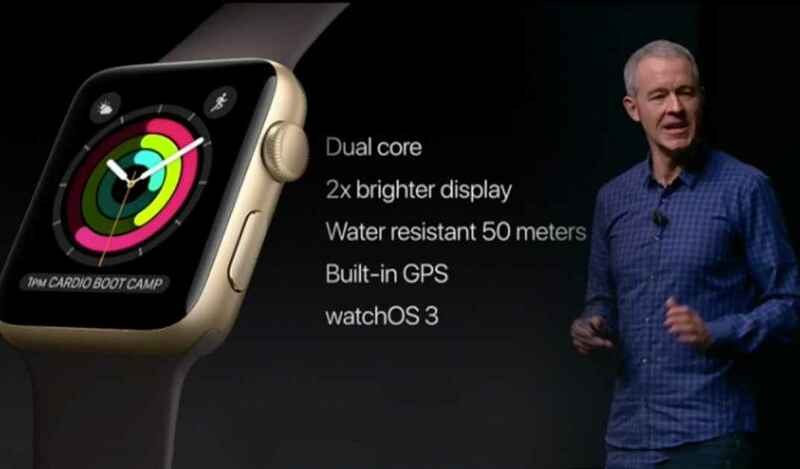 The biggest change of the new Apple Watch 2 series is the inclusion of a GPS chip and swim friendly capabilities for up to 50 meters under water. 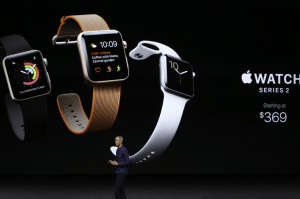 The new Apple Watch to will cost you US $369, £369 in UK and INR 32,900 in India. The Apple watch will be available for pre-orders from September 9 and will be released on September 16. The Apple Watch Series 2 doesn’t look any different to the current Apple Watch at first glance. Series 2 smartwatch features Apple’s second-generation display, which is twice as bright as the original Apple watch at 1,000 nits. You’ll have an easier time reading it in direct sunlight. There’ll be a new finish: ceramic. It’ll join aluminum and stainless steel cases, with the ultra-expensive gold Apple Watch cases being retired in the upgrade to the Series 1 and Series 2. Now, one of the best advantage of the Apple Watch Series 2 is that it could run without an iPhone because of its in-built GPS. The GPS feature means it will be more useful in helping with outdoor activities like walking, running or cycling. 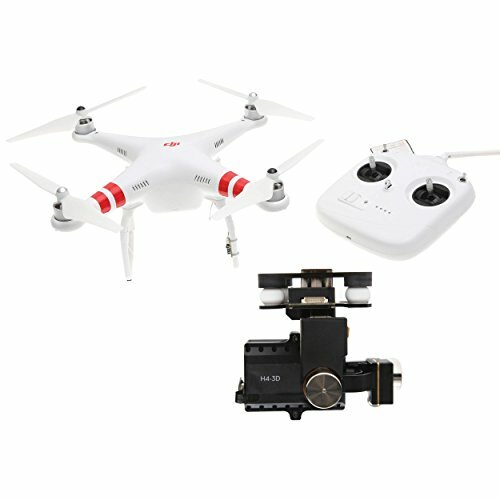 It also uses WiFi, GPS and locally stored satellite data to quickly identify location when a user is outside and can be used for hiking trips and trails. Apple Watch Series 2 comes with watch-OS 3 on it, which has a New Dock that makes it simpler to launch apps straight from the watch face along with improved fitness and health tracking. More importantly, Pokemon GO can be played on the Apple Watch now, and any health data generated from doing so, including steps taken, will be tracked as well. 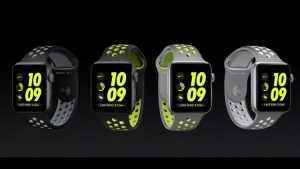 Apple has also worked with Nike to create a special Nike+ version of the smartwatch. The Nike+ watch has a Sports band which comes in four, two-tone color combinations, only in this collection. Apple Watch Nike+ also features two exclusive watch faces to help add apps which are used in running.